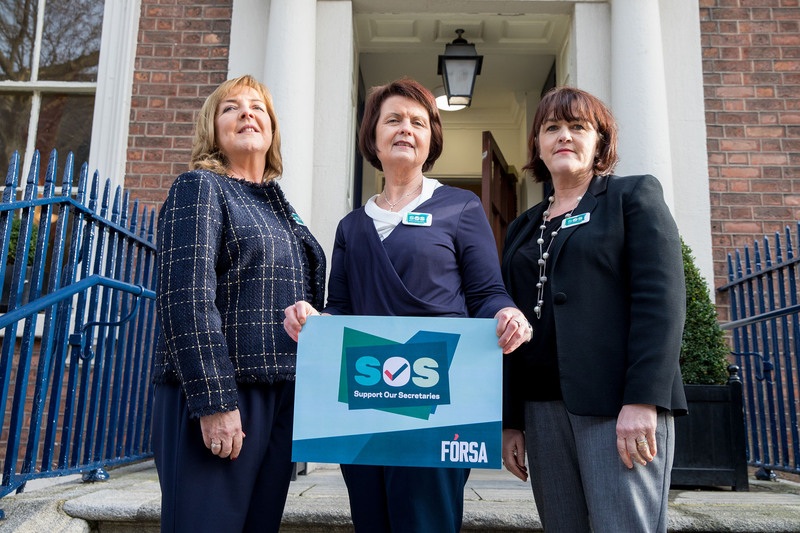 Fórsa trade union has written to the Department of Education and Skills seeking to open discussions on a new agreement on school secretaries’ and caretakers’ pay. A 2015 arbitration finding awarded four separate annual pay rises of 2.5 per cent for school secretaries and caretakers. The final pay adjustment was due in January 2019, and the agreement concludes this year. In a letter to the Department sent last Friday (1st February), Fórsa’s head of education Andy Pike said unions and the department had previously established a joint forum to consider pay arrangements for grant funded secretaries and caretakers. Mr Pike suggested that the forum be reconvened for the purpose of discussing a new pay agreement to commence in 2020. Most school secretaries and caretakers are paid through their school’s ancillary grant, which means their pay is determined by individual school boards of management. This arrangement has led, in the most extreme cases the union has encountered, to school secretaries earning as little as €12,700 a year, with no entitlement to benefits such as sick pay or pension rights. The union is currently campaigning to change the existing pay model. Fórsa has suggested regularising the employment status of school secretaries by establishing the ETB school secretary salary scale as the common salary scale for all school secretaries. Fórsa also addressed the issue in its December 2018 submission on the Department of Education and Skills strategy statement for 2019-2021. ETB school secretaries are paid directly by the department.